This entry was posted in Beekeeping and tagged bees, colony loss, feeding on April 18, 2016 by JV. This entry was posted in Beekeeping and tagged bees, feeding, fondant on March 28, 2016 by JV. The beekeeping routine of weekly hive inspections has been going on for some time now. We lost one colony early in the year, but still have three others working away. One of these we are a little concerned with, as the new queen does not appear to be laying in any quantity, and we may need to intervene with this colony. The other two, though, are doing very well. In total, we must have some 50lbs of honey in the supers, a fair bit of which has already been sealed up. This is excellent for what is still early in the season – especially here in our sheltered southerly locale, where the bees can be productive until late into the Autumn. This entry was posted in Beekeeping and tagged bees, honey on July 3, 2015 by JV. This entry was posted in Beekeeping, Garden diary and tagged apples, bees, cherries, pears on April 26, 2015 by JV. 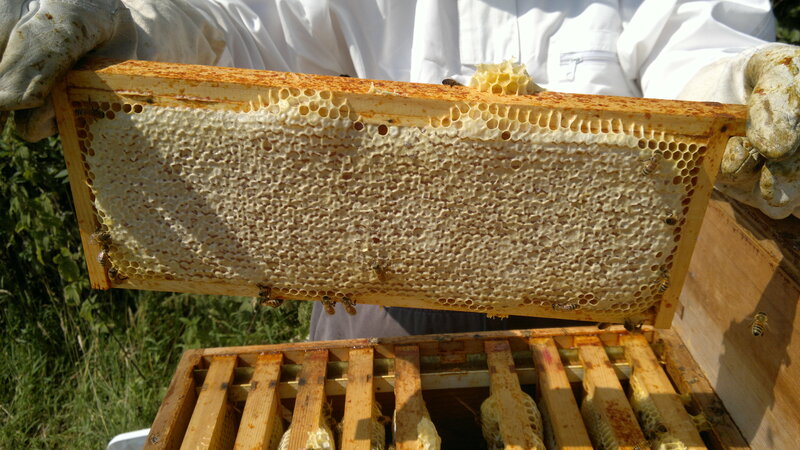 This entry was posted in Beekeeping and tagged bees, honey on October 13, 2014 by JV. This entry was posted in Beekeeping and tagged bees, honey on July 27, 2014 by JV. This entry was posted in Beekeeping and tagged bees, queens on July 4, 2014 by JV. This entry was posted in Beekeeping and tagged bees, queens on June 25, 2014 by JV. Once again there is another beekeeping disappointment to report. In my last post, I mentioned that we had a colony with slightly aggressive tendencies and had forced them to replace the queen with some larvae from a frame provided by another colony of very nice bees. Hopefully, offspring from the first crossing will still retain their gentle characteristics. We did a similar thing with another small colony to give us a further queen should it be needed. 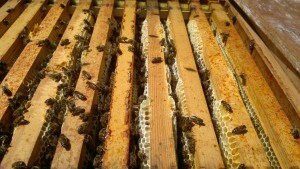 When we recently checked the donor hive, though, we could not find the queen, nor any sign of eggs. It is not clear what might have happened. There is always a possibility of damaging the queen by accident when inspecting a hive although we were very careful and have not spotted her on any of the recent occasions, although she had clearly been there, given the presence of copious quantities of eggs and young larvae. 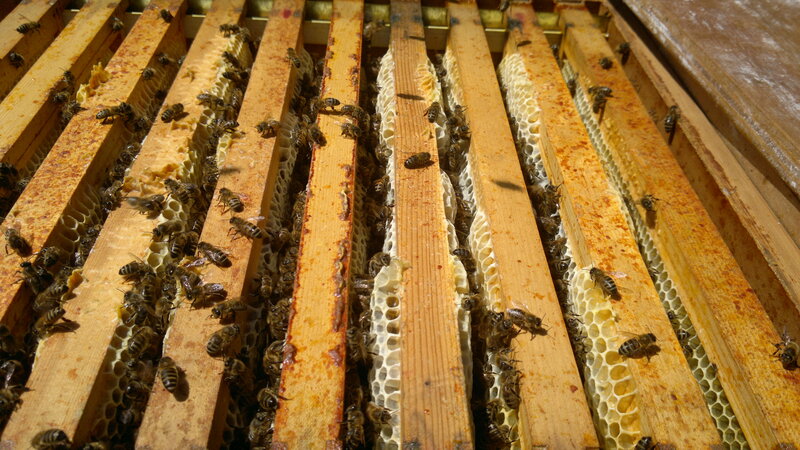 There were several supersedure cells – those queen cells generally built on the face of the comb – so we are hopeful of a successful replacement. The loss of the original queen, though, is a rather disappointing. This entry was posted in Beekeeping and tagged bees, queens on June 23, 2014 by JV. This entry was posted in Beekeeping and tagged bees, queens on May 24, 2014 by JV.